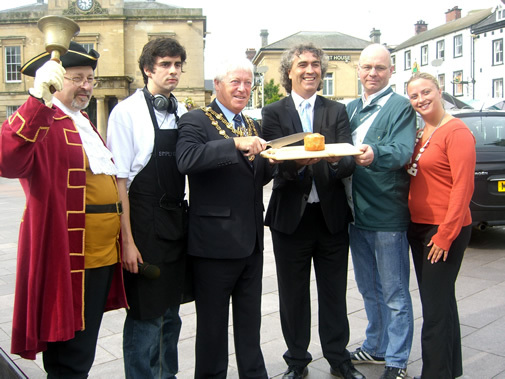 Like many other towns across the Midlands, Mansfield has its very own pie tradition. 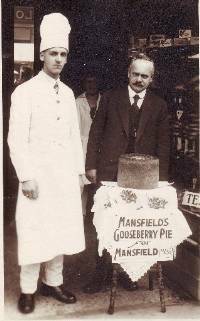 The Gooseberry Pork Pie was made in Mansfield as the traditional dish of the annual July Fair. 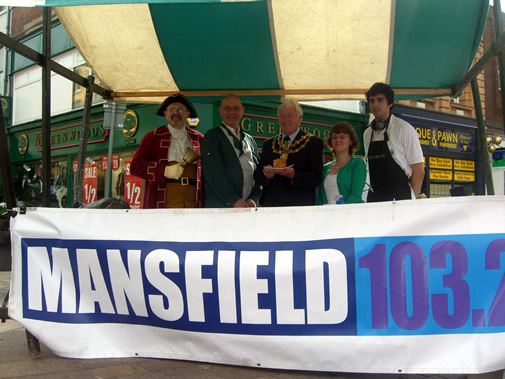 The fair celebrated the granting of the Market Charter by Richard II in 1227, meaning that Mansfield could hold a market in perpetuity. 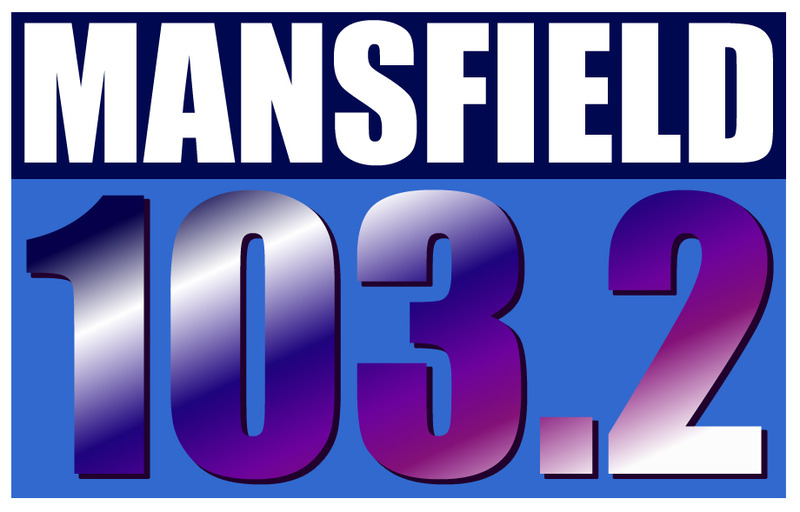 Officially opening on July 14th, the fair lasted several days and included industrial and trade processions, a children’s day, a concert by the Royal Artillery Band and an exhibition of old Mansfield relics. The highlight of the fair was when the town’s Mayor cut the Gooseberry Pork Pie in front of the gathered crowds. The pies often contained over 60 pounds of gooseberries and were shared amongst the crowd. 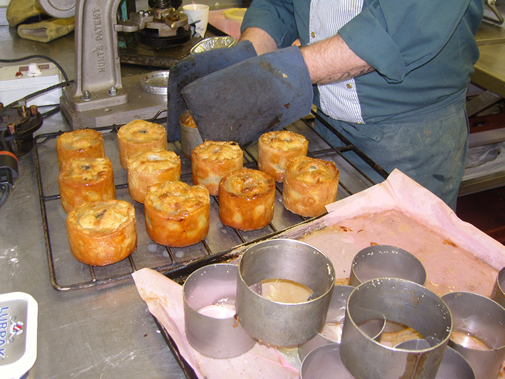 Smaller pies were also sent to Mansfield people living elsewhere. 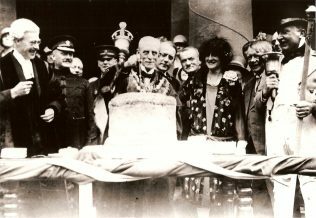 This photograph of the Gooseberry Pork Pie cutting ceremony was taken in 1927, a particularly important year, as it marked the 700th anniversary of the granting of the Market Charter and the 550th anniversary of the July Fair. 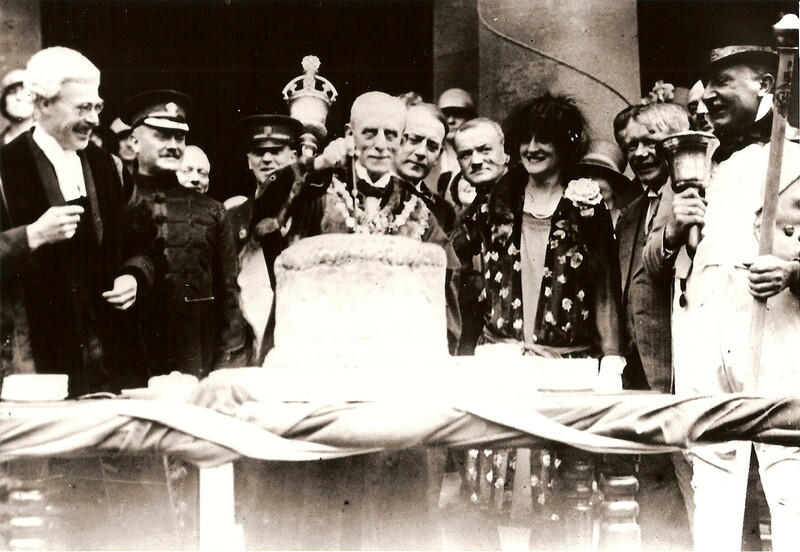 The photograph shows the Mayor, Ald. D. H. Maltby, about to cut the gigantic pie. On this occasion a second pie of the same size was also made and sent to Mansfield , Massachusetts . 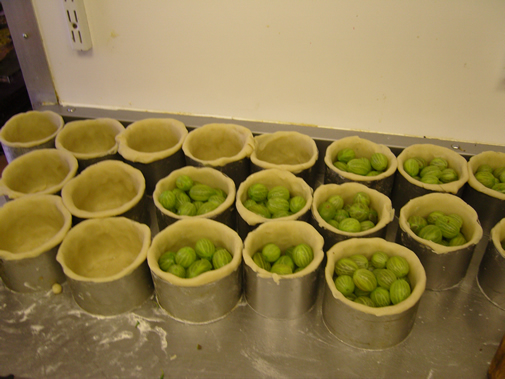 The exact reason as to why the pie was made with gooseberries is not known. 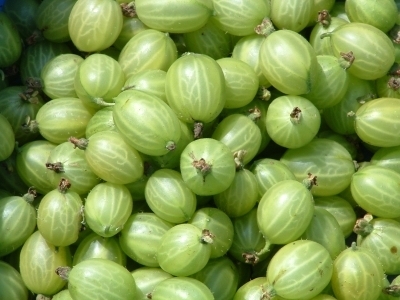 However it is thought to be because gooseberries first become ripe in July and when baked in the pie they are still young and firm enough not to make the pie crust go soggy. Throughout the July Fair smaller versions of the pie would have been sold in many of the local shops, freshly made by local bakers and butchers. 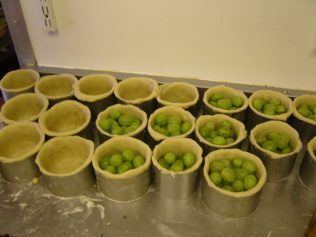 The Gooseberry Pork Pie is Coming Back! 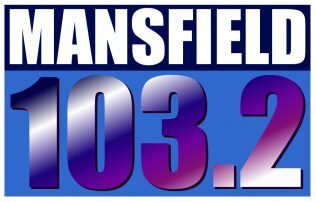 The tradition of the July Fair has long since died out but Mansfield Museum is helping the local radio station Mansfield 103.2 to bring back the tradition.For more information about this please visit http://www.mansfield103.co.uk/. 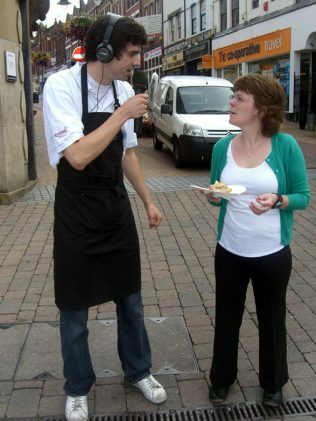 Breakfast Show Producer Tiny Rob from Mansfield 103.2 went to Barlow Butchers in Kirkby-in-Ashfield to make the pies. Wednesday 14 July 2010 – The pie is back! If you fancy having a go at making your own Mansfield Gooseberry Pork Pie here is the recipe. Let us know how you get on! Ingredients : 225g (8oz) plain flour, half a tsp salt, 225g (8oz) gooseberries (approx), 62g (2.5oz lard), 3x15ml tbsp water 9approx). Method: If no pork pie ring is available, make one with double greaseproof paper and secure with tape or pins to strengthen. Boil water and lard and pour into sifted flour and salt, mixing carefully. Knead as dough cools, add more boiling water, sparingly, if necessary. Roll out pastry and for over an upturned large jam jar while still warm, and smooth with fingers to give an even thickness as it cools and sets. 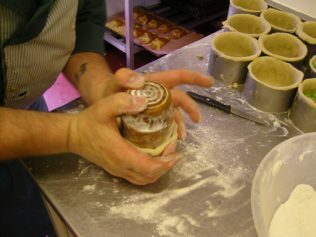 Turn over into pie ring and trim edges of enough pastry to make a lid. Fill with gooseberries and sweeten to taste, adding a little butter if desired. Roll out lid to a circle and brush edges with water. Secure to top. Brush with beaten egg/milk before baking or with a glaze made with one tablespoon sugar dissolved in one tablespoon water brushed over the pie just before it has finished cooking. Make a neat airhole on centre of lid and cook in a hot oven until well browned (425F, 220C, Gas 7) for 15 minutes, reducing to 350F, 180, gas 4 for approximately half an hour. A little warmed redcurrant jelly may be poured through hole in lid, while warm. Allow to set in ring and serve cold.